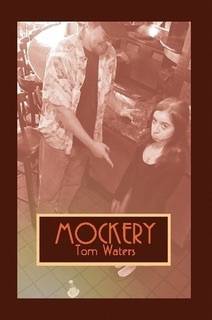 Mockery by Tom Waters: An essay collection formatted to mimic a standup comedy act. You’ll find our interview on Page 2. Kudos to Alicia for doing a great job of balancing information with revelation. As for the reading, I have some video clips from the show that I’m working on, so you’ll see those soon. Last week was a busy one so I’m playing catch up. Talk to you soon! Tom and novelist Diane Meholick discuss time travel, tossed salads and the federal deficit. Diabetes Dave takes the brunt of Tom’s abuse. Thanks are in order to producer Richard Wicka, the lovely and talented Diane Meholick and Diabetes Dave for another solid episode. Kindly SUBSCRIBE to the show to receive free updates when new episodes hit and dont forget to ‘Like’ the video and ‘Share’ on all of your social media platforms and devices! There are a lot of laughs packed into this episode, so don’t miss out! Before producer Richard Wicka and I even started filming the video installments for Big Words I Know By Heart for YouTube and Time Warner Cable, I had a very clear idea of what I wanted to do with each show and even for the next four years with the show. I thought it would be neat to have a companion clip for every studio episode to showcase each guest’s talents and balance out the comedic insanity of each episode with a bonus clip. For the first eight episodes I really didn’t have the technology (or the equipment) to implement something like that outside of the studio. Now I do. Before we filmed the studio show (a week before Episode IX) novelist Diane Meholick and I met at her home in Niagara Falls to film some super-sized compendium clips with exerpts from all of her books. As a result, there are not one, not two, but THREE segments that compliment Episode IX. You can view them all below. As always, please take a second to ‘Like’ & ‘Share’ the videos. If you’d like to receive updates when new episodes come out you can SUBSCRIBE to my YouTube account and even SUBSCRIBE to the Big Words I Know By Heart Channel. Enjoy! ‘Cosmopolitan Cop Out’ appearing on BuffaloComedy.com! As per usual, kindly take an extra minute to ‘Like’, ‘Share’, ‘Retweet’, ‘+1’ or whatever the preferred mode is for the 42 different social networking platforms for sharing and liking what you see. It’s a damned busy week for this guy! The new rant dropped today, there’s a new webisode of Big Words I Know By Heart rolling out this Wednesday on ‘the YouTubes’, The Clarence Sun will be running an interview with Yours Truly that editor Alicia Greco conducted and on Sunday I’ll be doing a Reading & Signing at Milkie’s On Elmwood from 2-4 p.m. Whew! You’ll hear more from me as the week plays out. I hope you like the new rant! You are currently browsing the big words i know by heart blog archives for April, 2015.